Founded in 2015 by Anu Gupta after working for over a decade in analytics, Livedata.Mobi, a US based analytics powerhouse, was founded on the belief that business data has powerful stories to tell that when told in real-time can transform your business. After graduating with a Master’s degree in Statistics and a black belt in Six Sigma, Anu spent the majority of her career with industry giants like Nokia, Sony, and PwC in BI and Six Sigma before starting her own venture. Anu partnered with Klipfolio early on and has never looked back at any other BI tool since then. Anu valued Klipfolio’s highly intuitive, yet versatile platform, which because of its cloud data accessibility, makes it easy to work with. Anu felt that Klipfolio’s competitive price point was affordable and very attractive to small and medium sized businesses (which is Livedata.Mobi’s biggest target market). To top it all off, Anu was impressed with Klipfolio’s onboarding process, both because of its customer tech support team and sheer volume of online resources available. This not only helped onboard Anu and her team, but is a critical factor for her onboarding of new clients. Livedata.Mobi works with a very diversified portfolio of clients, most of which are entrepreneurs/owners of small and medium sized businesses. 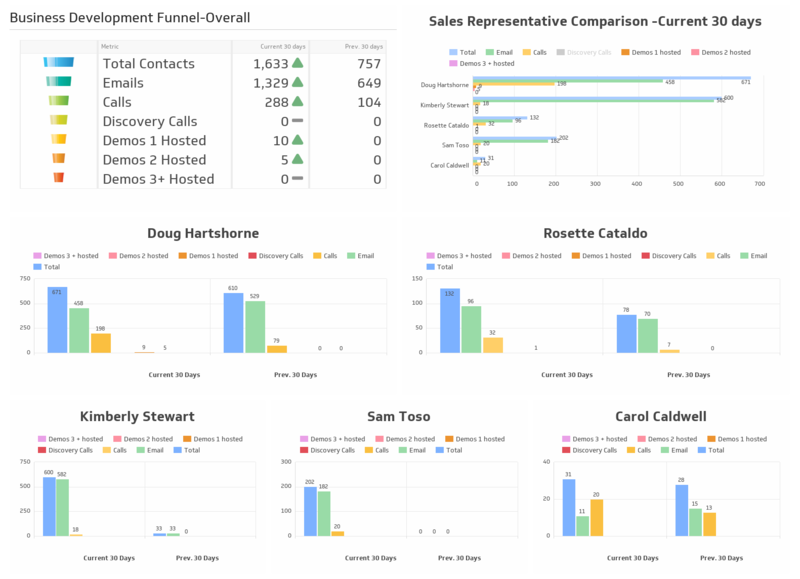 The firm has built 250+ custom dashboards for 100+ different clients in Klipfolio, each unique in terms of their business and dashboard requirements. Livedata.Mobi’s major clientele are in industries like medical, fitness, finance, landscaping, lighting, digital media, and e-commerce, education. Anu and her team use managed dashboard services paired with Klipfolio’s white labelling feature as their keys to success. Livedata.Mobi builds custom dashboards from scratch with the aim of helping companies define their OKRs for annual/quarterly goal planning. Custom dashboards allow Anu’s clients to stay on top of their data in real time so they can make more informed decisions to drive their business. By white labelling Klipfolio, Livedata.Mobi can maintain its brand consistency and allows them to apply their branding and remove Klipfolio branding altogether. This creates a unique experience for each client.